Let new customers know you have existing customers rooting for you, with our badges. Our badges easily link customers to your online profiles. When used successfully, badges encourage people to choose your company over competitors. Our badges are an eye catching, one-way ticket to your business listing. They allow customers to easily research your licenses, read & write reviews. First call Relocations has been providing the highest standards of packing and relocation services for over 24 years. We are a full-service moving and storage company that specializes in residential, commercial, intrastate and long distance relocation's. Our team of professional packers and movers are state certified with decades of experience. We have a wide range of vehicles and quality equipment for transport of your furniture and belongings. Whether you’re moving from an apartment, home or relocating your office space, First call Relocations has you covered. We want your move to be a stress-free success story! A picture says a thousand words. Add pictures from your move so you can show AND tell exactly how it all went down. Their price was very much similar to other companies. But their best quality was sincerity and professionalism. They were specialized in packing. Though I finished half of packing, I surrendered rest of unpacked items to them. They worked such nice way that I thought to repack the items I finished. Later I request them to oversee my packed items if they need any wrapping again. Totally they spent almost 8 hours relentlessly to put stuffs in to boxes. They timely carried and handed over my possessions. They did competently at both end of the move. On the whole the move was perfect. 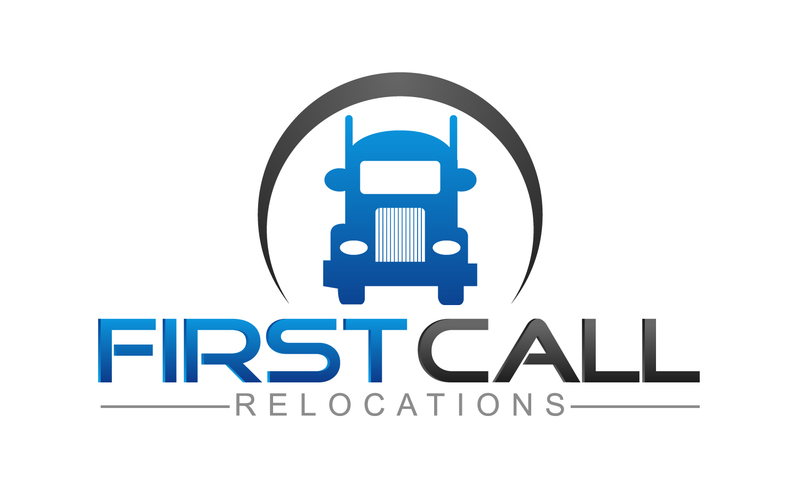 I had a great moving experience with First call relocations. Alvaro and James were quick, efficient and professional. 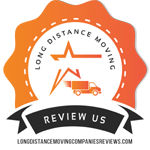 This was my first time using a moving company, and they made it very easy and hassle-free. 10/10 would recommend. My experience was identical - the crew came early and the move went more quickly than the estimated time. I was very pleased and am happy to recommend First call relocations to anyone needing a move. You guys saved the day. Let me begin by say how great the full pack services was. I need to be out of my home in a short time pick was smooth, and delivery was prompt. The foremen was very professional and caring the way he had the crew take care of our items. Thanks so much for the great job guys. I will use you again in future moves. Mike your the man for helping my family make it to CA safe and it get stuck in a broker situation. The guys at First call relocations really did a great job for me on this move!!!! I could not have imagined this move to go smoother!! I have had some not so great experiences so I was very picky with who I chose to move me and my family out here to Florida. 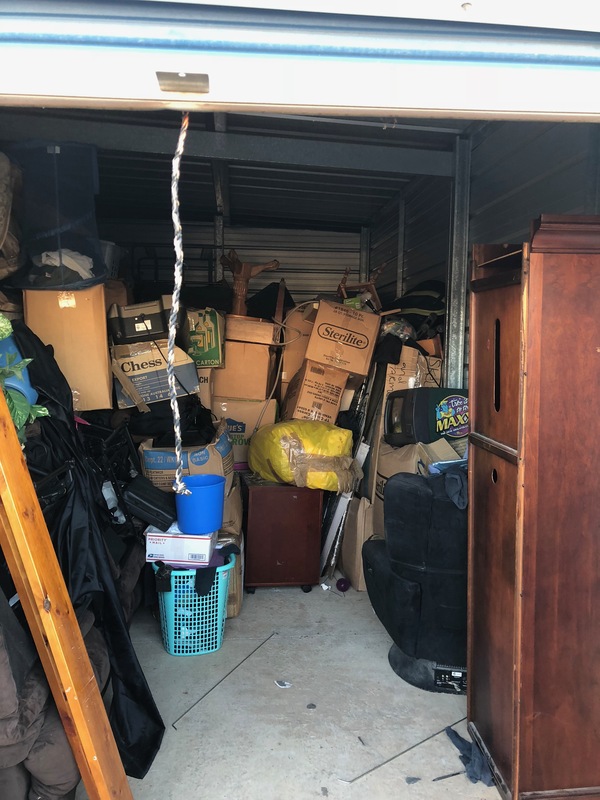 It was a lot easier having them pack up everything then renting a truck and doing it myself and honestly after all cost it was not that much more. It was really nice that First call relocations took the furniture apart then put it all back together on delivery. This team was not only kind and polite. They were knowledgeable and the mivers worked in sync together and had us packed up and moved as fast as lightening. I have not a single complaint. I highly recommend First Call Relocations. Great company. Edwin and Alex from First call relocations helping to move mainly the large furniture (sofas, bed, and large bookshelf). They carried the stuff down one flight of stairs from my old place and then up another flight of stairs at the new one. They did a great job, were fast and friendly, and got the whole thing done in just under four hours. They did not waste a minute at all...in fact, they beat us to the destination between the two locations , we stopped at Starbucks. Would totally recommend them to anyone. I was quoted $2675 from Phil at Safeway Moving systems and he assured me my stuff would get picked up from Virginia to be moved to Seattle and arrive by Dec 1. I paid Phil a deposit of $938 to get the moved scheduled. After paying the $2645.00 my stuff is still in NJ and every time I call to find out when it is coming to Seattle I get the same standard answer " we don't have a driver yet"
this is unacceptable and I want a refund of what I was originally quoted because my belongs did equal to 1050 cu sq ft of what they are charging me for. I have moved the same belongings every year for the past 3 years and know it is not over 654 cu sq ft. So fast! So fun! They showed up in the middle of the window of time and had me all unpacked in my new building in under an hour and a half! Both guys were so nice and easy to talk to! Would highly recommend! These folks are simply amazing!!! They were so accommodating, hard-working, and all around fantastic to work with. They seem to truly enjoy what they are doing and I couldn't have been more pleased with their performance and attitudes. I spoke with numerous moving company’s and came across Wyatt at First call relocations. He was knowledgeable and polite and did not seem to push me for my money. This was a big move for my family and I to leave NJ and start a new life and job in Florida. He was very thorough with was was to be expected during the move. The pick up went great and the delivery was even expedited. The price was very reasonable and the best part of the move was that none of my wife’s fragile crystal was damaged along the way. I would highly recommend this moving service for your next move especially after all of the horror stories I read about. I booked a move with first call and agreed to a payment schedule that was different than what they normally do. Now they claim that was never agreed to. I was also told they are not responsible for any claims their sales staff makes. They also doubled their price after they loaded the truck. First Call Relocations gave us a quote of a 2 bedroom house with a pool table (broken down professionally) and patio furniture. We told them every item that was being moved. I am a former Navy Financial Officer and currently a tax accountant. The quote was for $6,000. Our items were picked up October 16 2018. They showed up with a 26ft truck and said we are only allowed to fill it half way or it would cost extra. How is a 2 bedroom house with a pool table and patio furniture supposed to only fill up 13ft???? It isn't. So we were charged $4,000 extra which made our cost $10,000. I was given a phone call yesterday October 19, 2018 to tell me the cost upon delivery of $4,000. I was also told if we can't come up with the money that First Call Relocations would hold onto our items until we can come up with the $4,000. Then she said all of our items were in storage in New Jersey. I was never told our very expensive items were going to be stored and handled multiple times before it reaches us the end of next week October 26, 2018. That is not what I was told when my items were picked up. I am scared of ever seeing my household items and pool table which I play professionally again. What can I do? I feel like my items are being held hostage. I got a bid from Mark Wallace over the phone. I walked through our house and described all of our stuff. When the truck got to our house late in the day, I was told the cost was DOUBLED. I must pay 1/2 in cash before they would load. As I had to get our of the house that day, I had no choice. After the move, I have been unable to make contact with the company to file a complaint..I get voice machines and no response to my messages, texts or emails. I am currently out $6,000. Poor way to run a company. It started with Paul Champion, he gave me a "Binding Moving Estimate" and I paid my $700 deposit. I thought all was good until it came to moving day. They were to pick up on 9/25 or 9/26. I received a call from Juan (the driver) on 9/24 stating he would pick up on 9/25. But when 9/25 things changed. I received a call from Juan (the driver), he stated he was running late & wanted to know if my Storage would stay open later in order for him to pick up because he was running late. He called @ 2:21 pm & was 5 hrs away. All along I would remind them that my Storage closes @ 7:00 pm. There was no way he was going to make it. He then stated he couldn't pick up on 9/26 because he had obligations. I told him I was an obligation too & I had a binding contract that stated it would be picked up on 9/25 or 9/26. That's when my nightmare began. Since the $700 cleared my bank, I was unable to talk with Paul, I left several phone messages & sent him an email. I received no response. I finally talked with a dispatcher (I think) they would never give there title Ben Wilson that was on 9/25. He said that to give him 10-15 mins to try & work it out. He did call back & told me he was going to training that takes 1 1/2 hrs, in the meantime he would have someone working on the situation & once he was out of training he would call me back. HaHa that was a joke. He never called & when I would call and leave messages he wouldn't return them. No surprise to me @ this point. I finally realized they were giving me the run around. I had to call the main number & I would talk with a customer service agent Juan. He would tell me that the dispatcher Ben Wilson would call me once he finished with the 2 clients & this was @ 9:00 am. Another joke!!! I never received that call. I called the main # & Juan answered again. He told me that he was going to take control & that he would try for Sun or Mon. Another joke. I did finally receive a call from Tyler Thomas (not sure his title either) but he did say that it's set for Sat or Sun. Hurray but that came too soon. I should have waited because it changed again. on 9/27 a female called & said that my move was going to be 9/30 or 10/1. Okay. I still didn't get excited because they way this has been going I figured it wouldn't stay. I was right. I received a call from Juan (the customer service) stating that I was going to have to pay more money that they couldn't do the move for the price I was quoted. Really ? I could not believe what I was hearing. He said we will refund your $700 to you if that is what you want. I told him I have a binding contract that states my move is $2000. This company shows it a At. Here I am stuck trying to find a new company @ the last minute. I am leaving on Monday Oct 1 and they knew this all along. Every time I spoke with Juan, I reminded him. So now I am waiting to see if & when I get my $700 back. I told him I need that money to hire a new mover so I want it asap. He said it would take 1 - 3 days. With my experience that I have had with this company, I'm not holding my breath! IF ALL POSSIBLE DO NOT USE THIS COMPANY!!! Save yourself from stress & heartache. This company initially tried to extort twice their quote upon arrival I ended up transporting 1/2 of my belongings and paid for expedited service which was not honored in contract - then they wanted Cash on arrival and told me that they were in a 73' truck and we would need to pay an additional $700 these transporters told me that all of this was their drivers - its obviously not it is contract - I have filed a formal complaint with the DOT and notified my Attorney - be warned this company will lie and give you any price to win the business and then extort more money - I still do not have my property and am worried about the security of my property. I cannot tell you enough bad things about this company. They have the highest rates and WORST customer satisfaction. My sales rep is now in prison for absconding with at least 25 customer's personal checks, inventory, and information. I have never seen such a customer unfriendly "business". STAY AWAY!!!!! Really great movers. Even helped me move the stuff the old tenant left behind. They expertly wrapped all of my glass/wood pieces and always asked if I was ok with where they placed items. The quote was spot on too. Would use them again in a heartbeat. I would never recommend this company after my experience! When Andy called to give me a quote, I gave him my storage unit size, which was a 10x10 unit, and he quoted me a price so I signed a contract based on that price. The movers showed up and said Andy was wrong and DOUBLED the rate!! I then discovered I sent important documents on the truck so I have called every day, 2-3x a day for the last 10 days trying to get a location on the truck and an estimated day of arrival and I have yet to get an answer. No one ever answers unless you push the prompt for a moving quote and no one in that department "is able to help". I have left so many messages that I have lost count and I have NEVER received a call back from anyone! Worst company EVER!! Nobody told me when I started this process it would be this complicated to find a mover. Thank God first call relocations was the first company I spoke. They were honest enough to give me a heads up on what you expect and a checklist to follow as I spoke to other movers. Every other company besides then wanted to rush through the phone call just to give me a price. After receiving many quotes and finalizing with first car I understand now how they were trying to cheat me. First call relocations gave me the most overall space and the best overall price. I was able to reserve the dates I wanted as well as the time block I requested. I watch the movers load up my home they were very courteous and careful With all my belongings. My staff may not be expensive but it means a lot to me. It’s easy to get confused when speaking this so many different people so let me be the one to help you and tell you that these guys are a true moving company. I would happily use them again and refer them to anyone looking for a down-to-earth honest and professional company. © 2019 All rights reserved..